Saronne is the mother country of the colony of Aradie. It lies in the southwest region of Japethe. It is bordered to the south by Ilandria, on the north by Morante and Guiern, on the east by Felaire, and on the west by the Levian Ocean. Its capital city is Arcaneaux. Its patron spirit is Giavere. Its symbol is the unicorn. 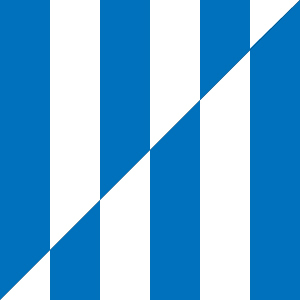 Its flag is a series of twelve columns of alternating blue and white stripes that are diagonally offset. The twelve columns represent the Twelve Revelations of Giavere. The country is fertile lowlands in the west, where it rises from the sea. The coastline is marshy and forces most of the ports inland up the two great rivers that wind their way through the kingdom. The land rises steadily to the east to a ridge of low mountains that separates Saronne from Felaire. To the south is a range of much higher mountains that forms the boundary with Ilandria. Saronne is ruled by a monarchy. The current king is Eudes VI of House Auvignan, the fourth of this house to rule Saronne. The current form of the kingdom was of was established in 857, when Raimon, the Duc of Arcaneaux, forced the surrounding nobles to bend knee and swear fealty. Raimon forged a strong alliance with the High Oracle Celestina of Giavere and received her blessing. Some say that Celestina advised Raimon on future events and that accounted for his good fortune throughout his reign. Saronne has historically warred with Morante, trading provinces back and forth. The militaristic Morantine are more capable warriors than their southern neighbors, but the Saronnans always have the edge in technology because they revere a Great Spirit who is the patron of arts and science.